Modern astronomical instruments rely upon digital sensors. Images are gathered through CCDs, which can be manipulated to create wonderfully brilliant images. But it wasn’t that long ago that images still required photographic film. Then, the only way we could gather images from space was to physically transport the film into space and somehow get it back. Like family trips of the day you took photographs hoping they would turn out, and wait to develop them when you got home. This was true of our trips to the Moon and the images astronauts brought home. Like many photographs of old, they tended to be stored away and not often looked at. To bring an old photo to the modern age you have to scan a digital copy. Most of the digital copies are of small resolution, since that’s all you need for most purposes. But recently The Apollo Project has posted high resolution scans of images from the Moon missions. By and large they are raw scans, and haven’t been color corrected or modified. What’s striking about them is how they have the feel of old vacation photographs. The kind you might find in your parent’s shoebox, or you might remember from your own trips. In a very real sense that’s what they are. The cameras were more expensive than your usual Polaroids, and the trip was out of this world, but they were still the record of a human vacation. So along with images of great views there are pictures of friends, selfie photos of your own shadow, and little things here and there that seemed interesting at the time. 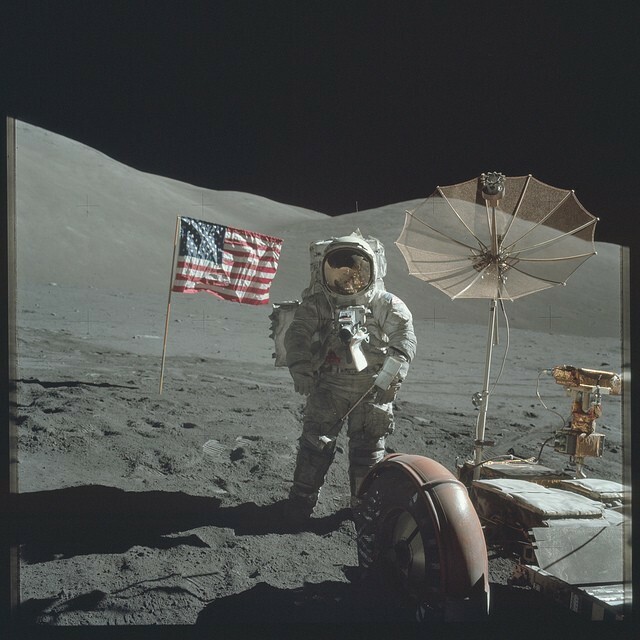 If you have a chance its worth looking through the Apollo Project images. Sure, they’re a great archive of one of humanity’s greatest journeys, but they also convey just how deeply human our first vacations into space really were. That’s really great images ! I hope I could see the one who will come back from mars, one day ! By the way, great blog !